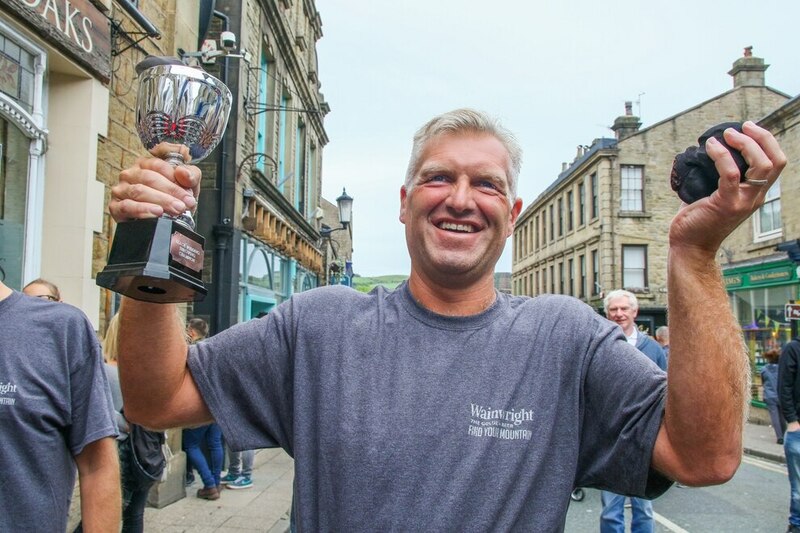 The title of World Black Pudding Throwing Champion has been brought back to the West Midlands by a man from Wombourne. What a shot... The World Black Pudding Throwing Championships 2018 gets underway. 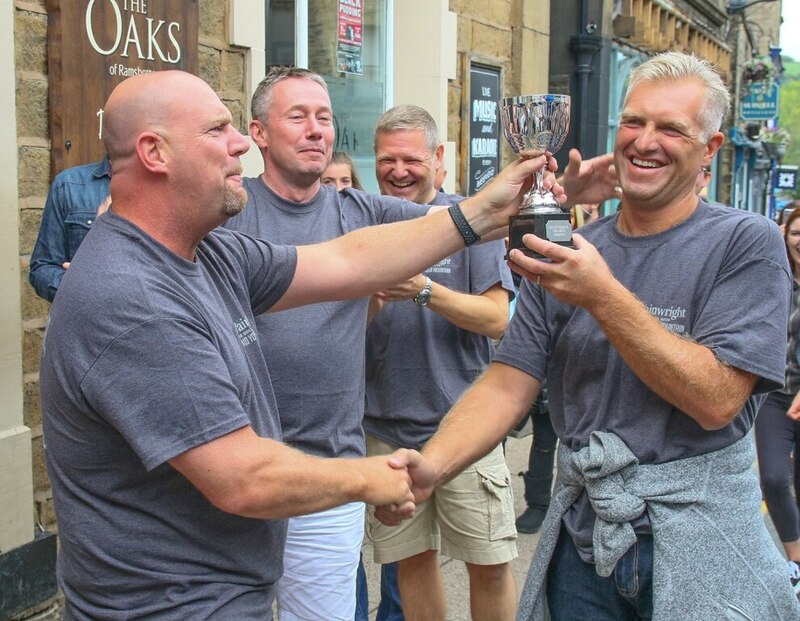 Andrew Ferrier (right) is handed the trophy. Andrew Ferrier celebrates with the trophy. Andrew Ferrier (right) celebrates with his friends. 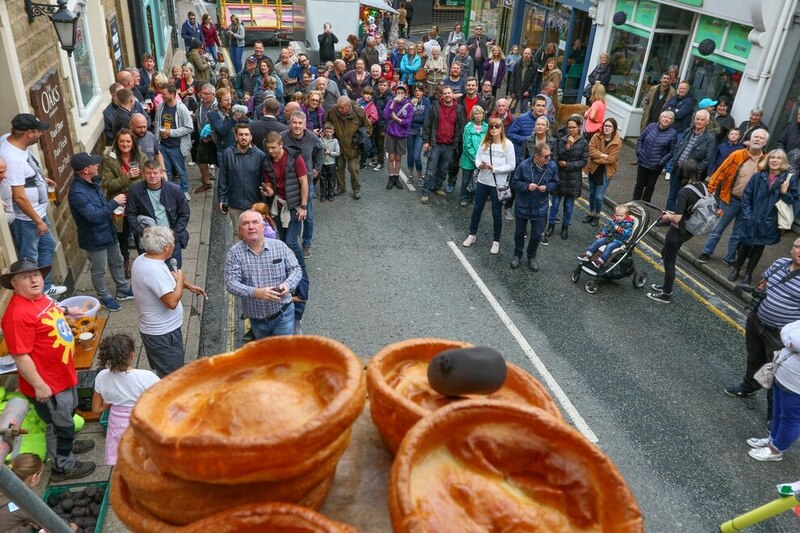 Hundreds of people gathered to take part in the annual event in Ramsbottom, Bury. 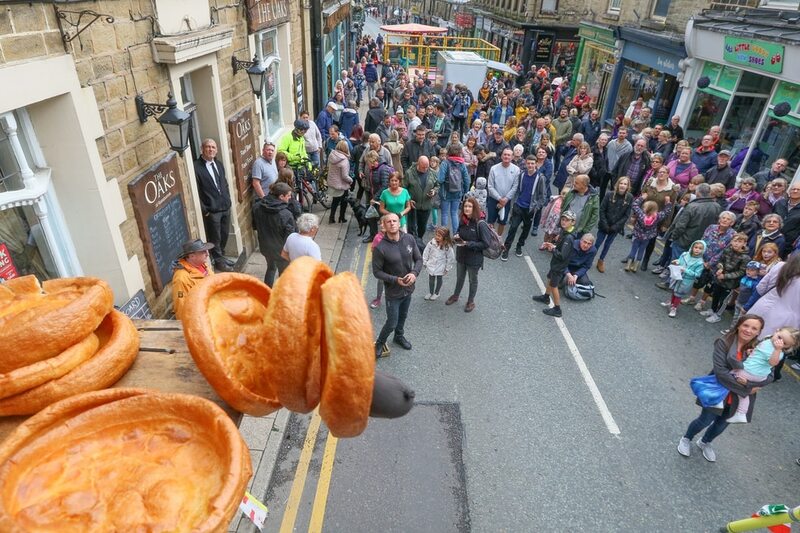 Competitors in the quirky contest stand on a Golden Grid on Bridge Street in the middle of town and throw black puddings, made by Chadwicks of Bury, wrapped in women's tights at Yorkshire Puddings on a plinth on scaffolding 20ft above the ground. People from as far afield as Australia, America and Turkey have competed in previous years. This year the title was won by 44-year-old Andrew Ferrier from Wombourne. He said: "I didn't want all the limelight, but it's brilliant to bring the trophy back home to the West Midlands. "It was a good weekend with the lads. It's for charity and it's got a good atmosphere. I had no intention of winning – it just happened. 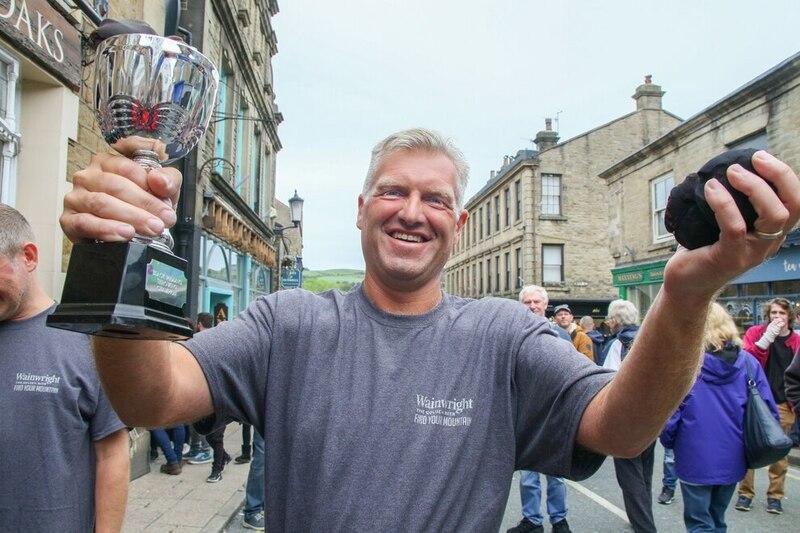 "I won £100 worth of prize money, but I gave that away to a children's charity in Ramsbottom. 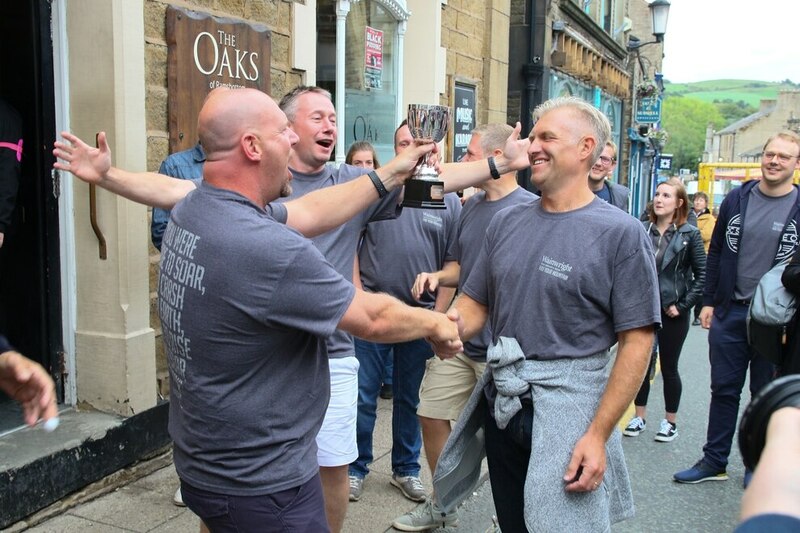 "The trophy is a cup, a chalice kind of thing, with 'Black Pudding Throwing Champion' on the plaque at the bottom. "I've done this now for five years and this was the lucky year. We'll have to return the cup for next year and we've already booked our hotel for the competition." 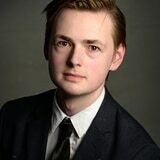 Mr Ferrier, who toppled seven Yorkshire puddings to win the title, added: "You've got to get the black pudding up above the Yorkshire puddings and then get it to come back down." 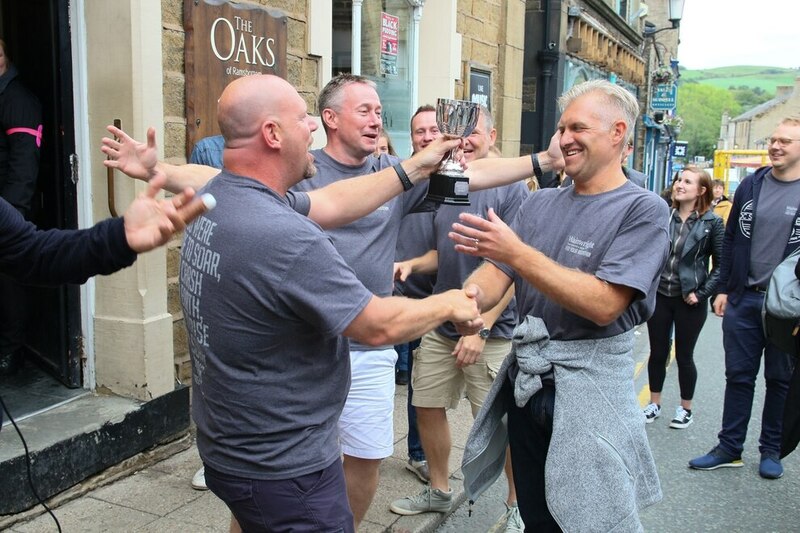 The 44-year-old travelled up with last year's victor, Nick Pennell, 45, also from Wombourne, who took the crown in 2017 after toppling five Yorkshire Puddings. Mr Ferrier, who works in house and garden maintenance, has been competing in the event for the last five years with friends. 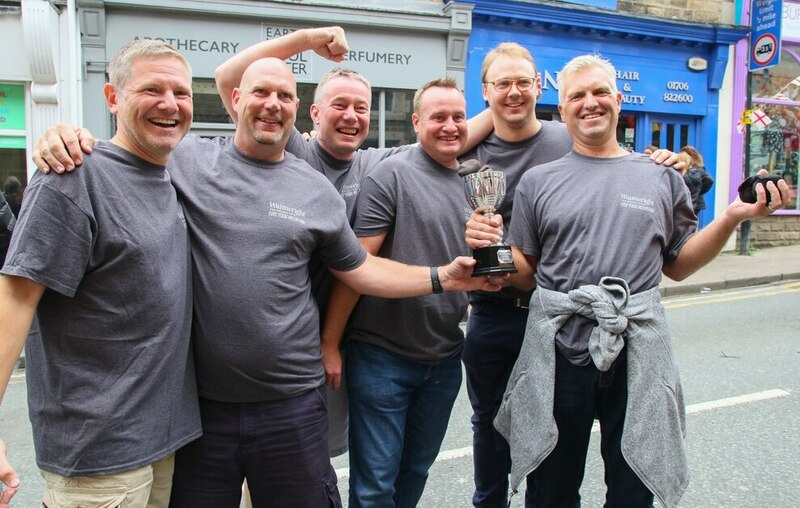 Mr Ferrier's brother, Craig, said: "Five years ago we had an argument over who did the best black pudding, I said it was in the West Midlands and another person said it was Ramsbottom because of the competition. "We started coming up and we drew blanks at first. Last year my mate Nick Pennell won and now we've returned it back to the Midlands again because my brother won it." The annual competition started in the 1980s and has been a hit ever since.